I have gained 10 years experience as a writer and editor, with more than 40 publications to date, the details of which can be viewed on my writing page. 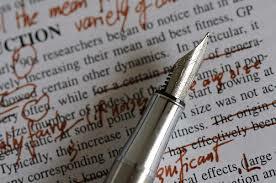 Editing is an undervalued skill in academic writing, one that is increasingly being sidelined by academic publishers. It’s a skill that can only be developed with experience in both polishing one’s own writing and honing and clarifying that of others. With three edited collections under my belt (a special issue of the Journal of Architecture in 2007 on ‘Architecture and Dirt’, and two edited books, Global Undergrounds and Function & Fantasy, both in press), I have learnt to be a courteous, sensitive and efficient editor, helping some authors to articulate their thoughts more clearly, others to hone their writing skills. I offer competitive rates for editing your work, based on a fixed hourly rate that reflects my efficiency. So, whether you have an academic article that needs polishing or a book-length manuscript that would benefit from a thorough and professional edit, contact me at dobraszczyk@yahoo.co.uk for more details and a free quotation.